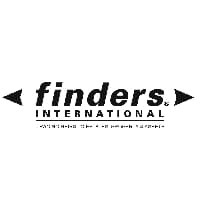 Finders International is to hold the first of its popular Deputyship Development Days for 2019 in Manchester on 3 April. These events are aimed at teams working in local authorities who manage the property and affairs of individuals under deputyship and appointeeship. They also open to other professionals from across all sectors who manage finances and protect the vulnerable, and they are free to attend. Deputies are appointed by the Court of Protection, and the function works in the same way as appointeeship but offers the protection of the client’s assets, savings or property. The Office of the Public Guardian (OPG) supervises the work of deputies appointed by the Court of Protection. Deputies are given sealed legal documents that allow them to act for an individual in all aspects of their financial affairs. Past events have been attended by a wide variety of people and organisations—from probate clearance firms, to solicitors, civil servants and public sector officers. Feedback includes comments that deputyship is an unusual and specialist field and therefore meeting up with others doing the same work is helpful. Private firms have found the events useful for networking and referrals. Previous speakers have included representatives of the Court of Protection, who have been able to describe in detail their work and processes. Danny Curran, Finders International founder and CEO, said: “We’ve had a long and productive relationship with solicitors and law firms since we began business in 1997, but over the years our involvement with other sectors such as local authorities, healthcare providers, health board and others has increased. If you would like to attend the event, which takes place at The Studio, 51 Lever Street, Manchester on 3 April from 9am to 3.30pm, you can book your free place here.